Bitcoin users have often been a target for law enforcement agencies and governments. In the United States, that scrutiny is even bigger compared to most other countries around the world. One 22-year-old Bitcoin trader has now been sentenced to two years in prison and forfeiting financial assets for trading and selling Bitcoin in an unlicensed manner. Ever since Bitcoin started making media headlines, people have been looking for ways to make money with the world’s leading cryptocurrency. Even today, making money can be done in many different ways. Depending on one’s jurisdiction, some of the more profitable options are best left untouched. For Jacob Burrell Campos, the buying and selling of Bitcoin made him good money, but also granted him a two-year prison sentence in the process. Following his arrest in August of 2018, Campos decided to plead guilty to operating a Bitcoin exchange without registering with FinCEN. 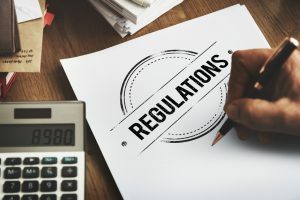 As most people are aware of by now, Bitcoin is still largely unregulated in the US, but companies facilitating the buying and selling of this currency will need to obtain an official money transmitter license. Campos decided not to adhere to this requirement, which ultimately led to his arrest. He also confirmed there was no AML safeguard implemented during his operations, which only makes the situation worse. Because of him pleading guilty, Campos had to wait on the final verdict. One of the first orders of business was ensuring he forfeited the illicit profits. The amount of money to pay up was set at $823,357, which shows this “exchange’ had been in operation for quite some time. Earlier this week, the final sentence was handed down. This 22-year-old will serve two years in prison for operating an unlicensed money transmitter business. Given the scale of his operations, that sentence could have been far more severe. Campos mainly accepted payments in cash or through MoneyGram, after which he deposited the money into an account on Bitfinex to purchase the required amount of Bitcoin on behalf of his clients. A total of $3.29m worth of Bitcoin was purchased through his account between 2015 and 2017. It was not his first foray into buying and flipping Bitcoin either, as he previously used an unnamed licensed US-based Bitcoin exchange. That trading account was closed eventually, which forced him to rely on Bitfienx more and more. While this arrest and subsequent sentencing will irate some Bitcoin enthusiasts, it is evident this is not the first time an unlicensed Bitcoin trader gets in trouble. Numerous individuals have been arrested and sentenced to jail for similar business practices. While the allure of selling Bitcoin for a profit to individuals who have no idea how to approach this industry can yield decent profits, it is not something one should do on such a large scale. If one has the ambition to run a full-fledged exchange, registering with the proper authorities is a must. The demand for Bitcoin has seemingly not slowed down in recent years. Despite the world’s leading cryptocurrency losing a lot of value since late 2017, the overall trading volume recorded through exchange APIs has not seen any real decline. Additionally, platforms such as LocalBitcoins and even OTC trading are becoming a lot more popular. There are also vast quantities of trading volume which are not officially tracked by data aggregators. Decentralized trading solutions will only further influence the trading of Bitcoin on a global scale.